Get 55% More Leads with a Targeted Blogging Strategy. Get tips on how to promote your blog and get it found using high quality content, buyer personas, and more! 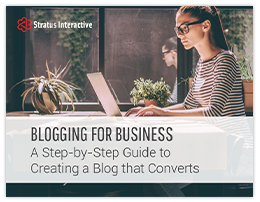 A targeted blog strategy not only increases website traffic, it also nurtures and converts your leads while establishing your business as a trusted, industry thought leader.